“I know them well,” he said, “and I wouldn’t have cared if they had shown the film first. I just want them to give me an answer.” He then introduced the directors of the opening film of this year’s Focus Québec-Canada section, my friends Patricio Henriquez and Luc Côté. 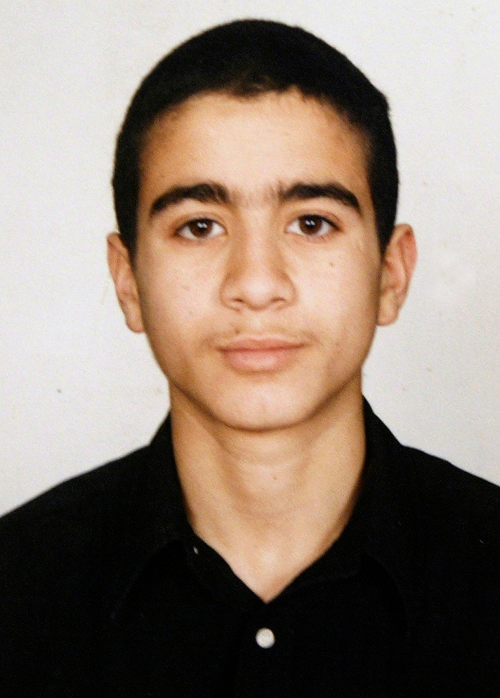 Omar Khadr at age 15 (above) and 21. The film is about the shocking case of the young Omar Khadr, the 24-year old accused of terrorism and killing an American soldier, who has been imprisoned for seven years, most of that time in Guantanamo. I will not summarize the case and describe this moving and incisive film in any detail, because I would not do as good a job as Cinema Politica’s Ezra Winton – read his article on the Art Threat blog. Suffice it to say that the film is a deconstruction and analysis of the surveillance camera video of the seven-hour, truly revolting –Orwellian more than Kafkaesque– interrogation of Khadr by representatives of CSIS, the Canadian Security Intelligence Service. Ezra is right in pointing out that we all have a share of responsibility for what the Canadian government is doing to this young man, a child soldier at the time of the events. You can only leave this film with a sense that something has to be done, even though Khadr’s lawyer explained at the launch that he is stuck between the devil and the deep blue sea. Indeed, it seems – in the bargaining going on right now – that he will have to choose between pleading guilty to a crime he didn’t commit and continue serving time in prison, or rot in his cell in Guantanamo (the facility Obama promised to close!) forever. Amnesty petition here. The film will screen at the Royal Cinema in Toronto and at the Cinema Parallèle in Montreal starting Oct. 29th. When we watch the film, the concept comes across so clearly and the structure seems so simple, so obvious. But during your process of creation…? PATRICIO: The chronology in the shooting of a documentary doesn’t always provide an interesting dramatic structure. Often in the editing room you need to betray this chronology to give meaning to the images. Of course, in this case, we weren’t the ones who filmed the interrogation of Omar Khadr at Guantanamo by the Canadian secret police. Nevertheless, the seven hours of video recorded over four days in February 2003 (accessible to the public thanks to a decision by the Supreme Court of Canada in 2008) had a progression that we kept in our film. Luc, our editor, Andrea and I, we watched these seven hours – of very poor technical quality – several times. We quickly discovered that each day had its own specific, separate nature. So we decided to identify each day as a journey: Day 1: Hope. Day 2: Fallout. Day 3: Blackmail, Day 4: Failure. Also, we understood we would need some context for these four days. So we directed our research toward eyewitnesses, people who had seen Omar, experts (scientific and legal), objective observers such as the Toronto Star reporter Michelle Shephard, and politicians. All these people had to help us better understand what played out during this four-day interrogation. Andrea first edited together the interrogation in this order, and then we showed all the participants the passages they could appropriately illuminate for us in interviews. Then, we inserted these new elements into the structure of the interrogation. And voila, it wasn’t a very complex creative device. 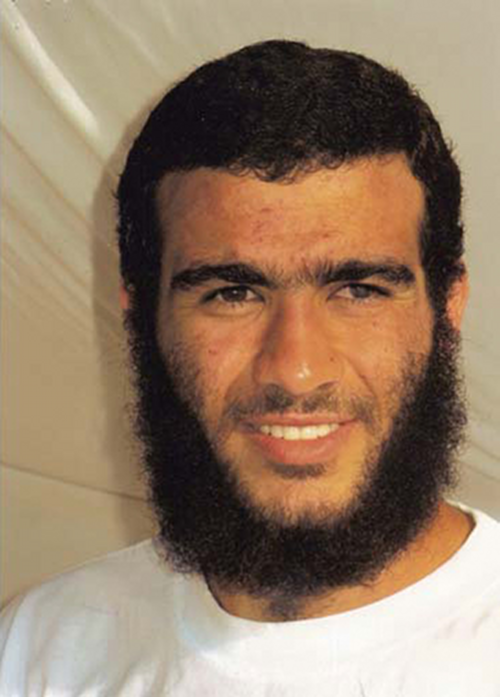 Having followed this story for several years, how do you evaluate the media’s coverage of Khadr’s case? PATRICIO: In Quebec, the coverage was particularly lacking. To my knowledge, the first print media to send a journalist to Guantanamo was Rue Frontenac, the website of the locked-out journalists of the Journal de Montreal. That’s totally to their credit. But even worse: Omar Khadr’s lawyers have proven since 2004 that the Pentagon has held back the fact that, in reality, Sergeant Speer was in Afghanistan as a member of the special forces known as Delta Force. And although he had been trained at one point as a medic, his primary role in Afghanistan was not to heal, but to kill. This difference is doubly loaded with consequences for Khadr, because, according to the laws of war, killing a duly identified nurse or medic is a war crime. Therefore, probably more by negligence than in bad faith, Téléjournal reinforced all the same this idea that Omar had committed a war crime in killing a medical doctor. It’s not a shock then that public opinion, having fallen victim to similar misinformation, is still largely indifferent to the fate of Omar Khadr. 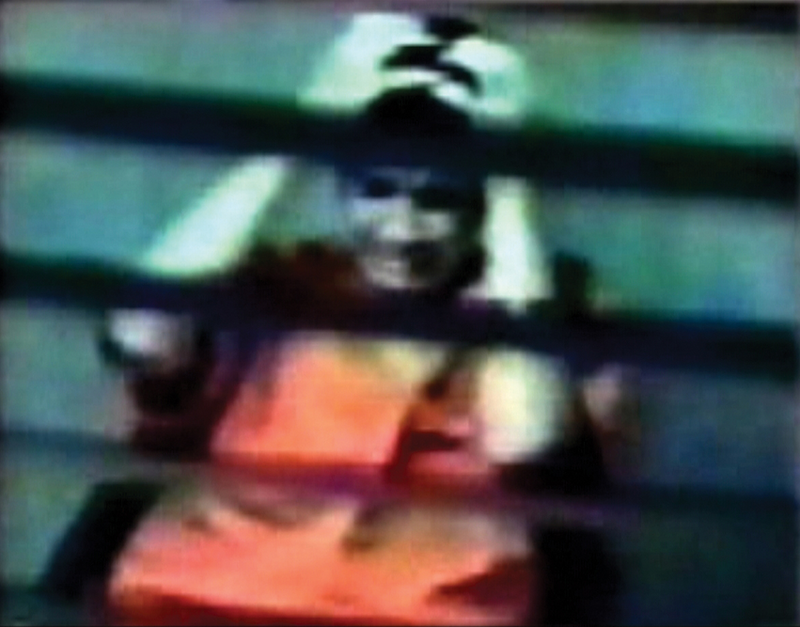 Then, we realized that practically every media in Quebec and in Canada has been content to merely reproduce the most emotional part of these seven hours of recorded video, the moment where, yielding to the psychological pressure of the Canadian secret agents, Omar cracks and falls into a depressed state, crying uncontrollably. No one seems to have taken pains to listen to the tapes in their entirety. We do understand that journalists, working constantly under pressure, haven’t had the time to decode the material. This is where, sometimes, the documentary can be useful in supplementing, more calmly and later on, the picture of a certain reality. How did you manage to finance the film? LUC: Financing this film hasn’t been very easy. After being refused by broadcasters and public institutions, we went to Jean-Pierre Laurendeau and Sylvie de Bellefeuille at Canal D. Without hesitation they agreed to give us a license. With this license, we had access to tax credits. But there still remained an immense hole in the budget of 50 per cent. 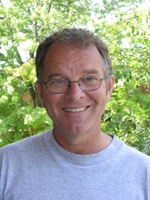 One of my best friends, Kevin Kraus, who closely follows our work, offered to lend us money. So we went ahead by investing our salaries, our equipment, etc. For lack of resources, all of the filming – camera, sound and interviews – was done by Patricio and myself alone. Je salue votre courage et votre détermination d’avoir poursuivi malgré tout ces obstacles la réalisation de votre film. ESSENTIEL!